"They don't get it. I can be invisible too." Struggling with adjusting to the role of ‘prey’, eight human predators trapped on a hostile alien world, must defeat the odds set against them to achieve any hope of escape, let alone survival. While success seams improbable, one thing this film will teach you is that Predators can prove anything - no matter the odds. 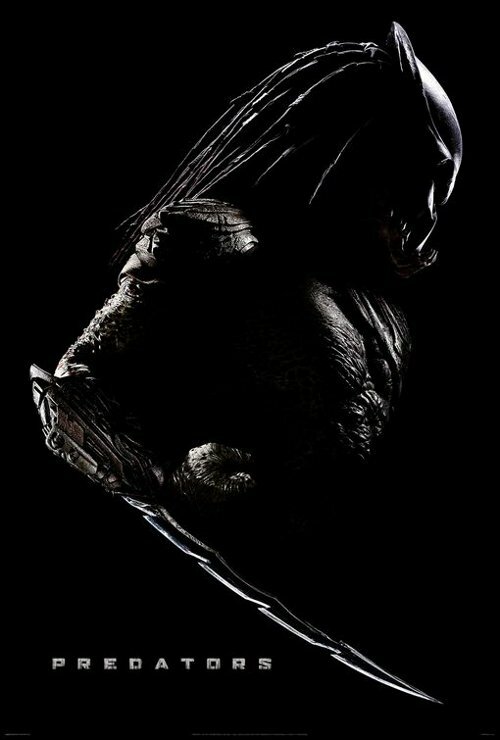 Right from its first shots Predators proves the power of the soundtrack. The bongo-ish jungle drumbeats of the original 80’s hit are back in abundance, along with all of those trademark Predator sounds. It’s a strange comfort (especially in a monster film), but one that further proves the overlying feeling, that this is the sequel to the original. Not Predator 2 and definitely not any of the vs. Aliens films that have popped up in the interim. That’s not to say that Predators will win any Oscars, it is an action film pure and simple and makes no delusions of aiming for anything more. In fact as the ‘eight mercs in the jungle’ premise implies, it takes you dangerously close to being a direct copy of the first instalment, but cleverly deviates from the original path just enough to up the ante, provide a bevy of one-liners and room for future growth. In short it does a Frank Miller revamp. Strips the franchise to its core – reminds you why that works – and then builds forward. Producer Roger Rodriguez and director Nimrod Antal get points for not running the excessive gore track too, and while the 'Predator hounds' may have been a little step too far, a big 'thumbs up' have to go to the cast, who quickly assume and nail their action genre roles. This even includes Topher Grace, who I thought might be a goner after Spider-Man 3, as the ‘why are you here?’ character of Doctor Edwin. 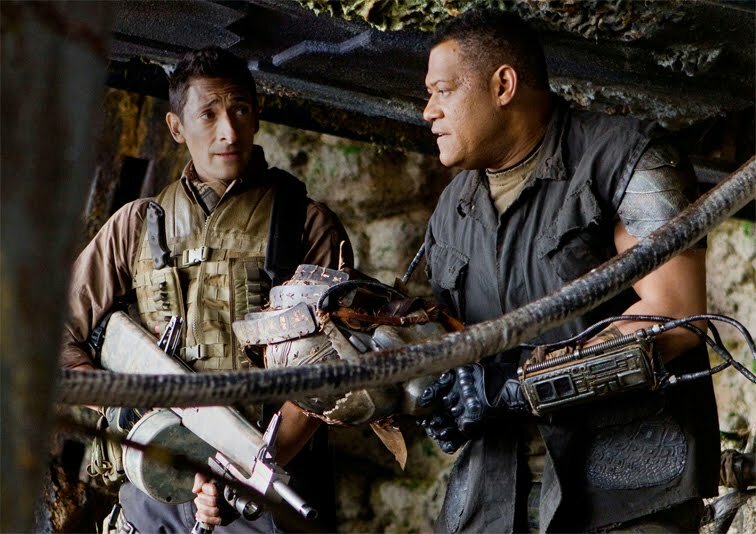 Adrian Brody does a prize job of being the lone hero on whose muscled shoulders the movie rests, yet it is Laurence Fishburne as the Oracle who takes out the film’s trophy role. Not only is it flawlessly pulled off, it enriches the whole franchise in a fairly short space of time. If other 80’s based ‘blockbusters’ have soured your willingness to give Predators a try, you stand to be pleasantly surprised by a film whose game will definitely flavour your tastes for the future.